Who knew that lime + butter could be so delicious? Apparently Martha Stewart did. I made these cookies for a cookie swap and I was quite pleased! 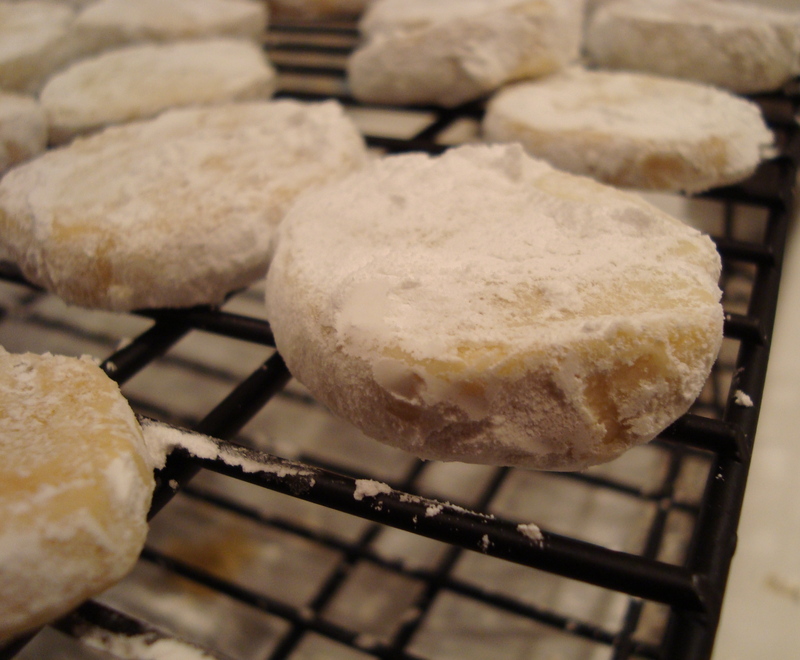 They’re a type of icebox cookie (that means that you can make the dough ahead of time and freeze it) so they’re great to make in bulk and save for a rainy day. Aside from the cooking time and the amount of butter, I followed Martha’s recipe exactly and you can find it here. 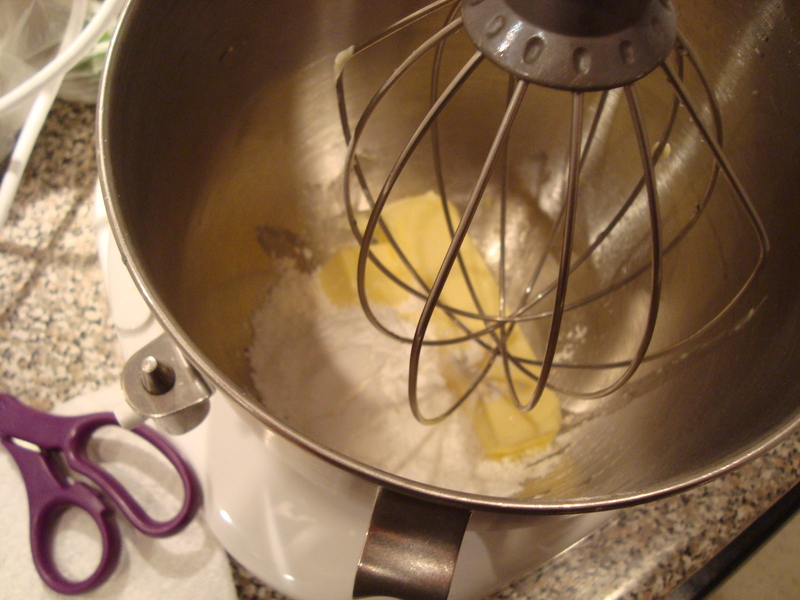 Use the wire whisk attachment on your mixer and cream 1 and 1/2 sticks of room temperature butter with 1/3 cup of confectioners’ sugar until it’s fluffy. 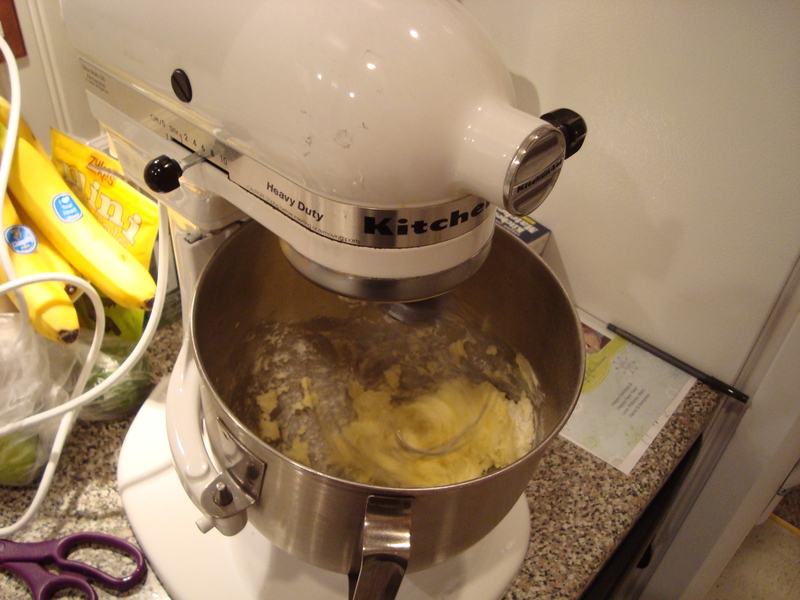 (Medium to high speed) You may need to add another two tablespoons of softened butter at the end if the dough doesn’t stick together. If the butter is really room temperature, you probably won’t need more than the stick and a half. 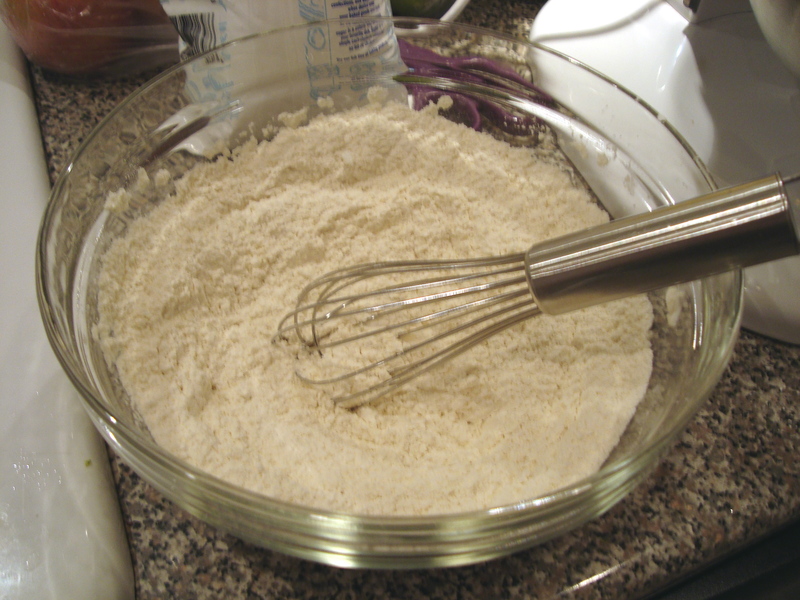 Meanwhile, whisk the flour, corn starch and salt together in a medium glass bowl. 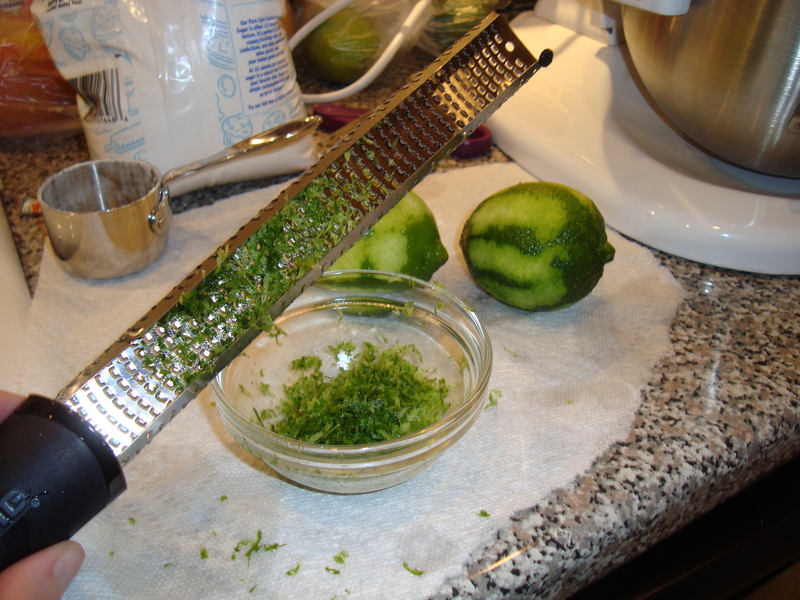 Use a microplane zester and gather the zest of 2 limes (about 2 tablespoons). 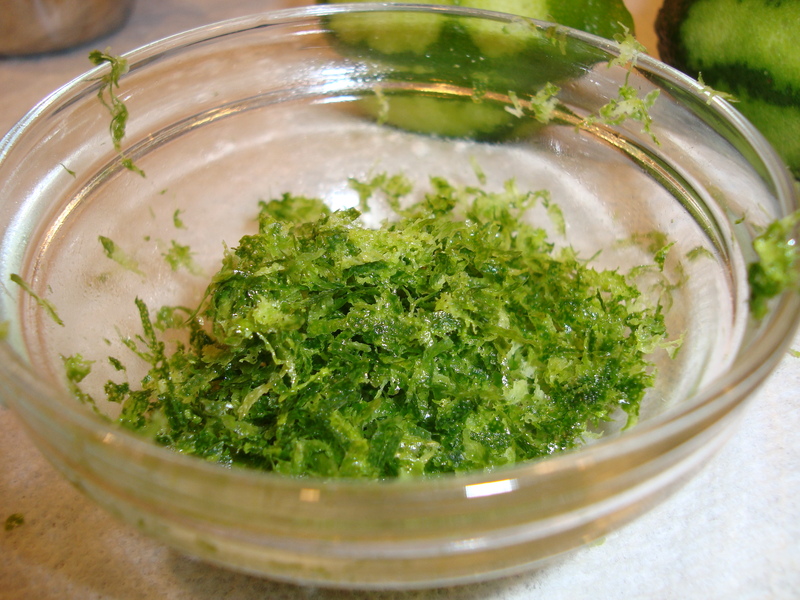 Squeeze the limes and collect 2 tablespoons of juice. Woooowee! 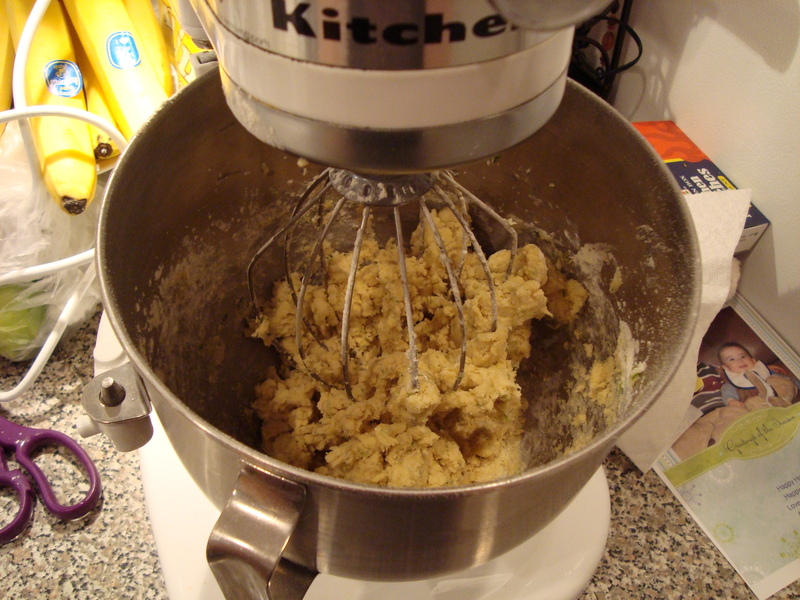 Look at that mixer go. Once the butter and sugar are happy and fluffy (you may have to scrape the sides once or twice – turn off the mixer before you do this, lest you lose a finger), add in the zest, the juice and 1 tablespoon of vanilla extract. 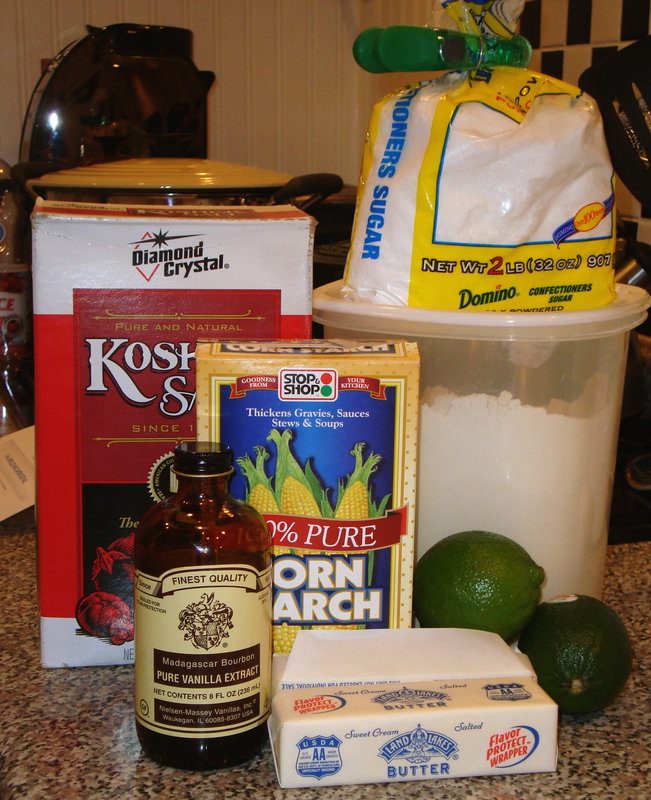 Mix in the dry ingredients gradually on medium speed. 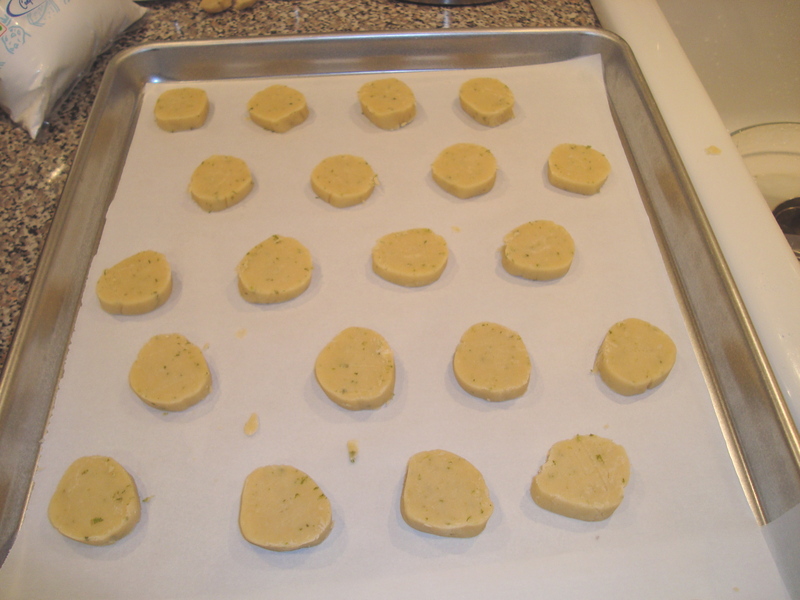 Lay out a large piece of parchment paper and dump all the dough onto it. Mold it into a mass and cut it in half. Set one half aside and shape the rest into a log about an inch and change in diameter. To make it nice and round, you do this weird thing with a ruler. 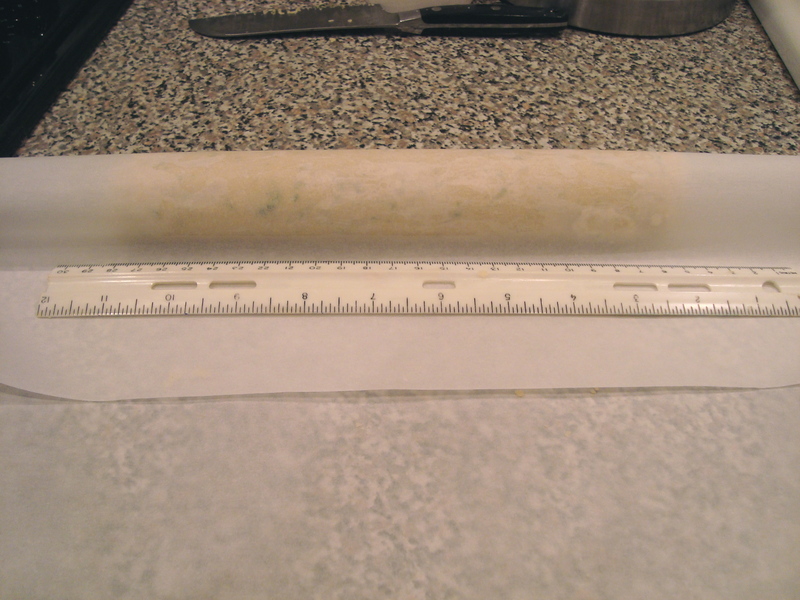 Put the log o’ dough in the center of the paper, fold the parchment over it, and push the ruler up against it and let it roll back. I don’t question the ways of the Martha, I just follow. 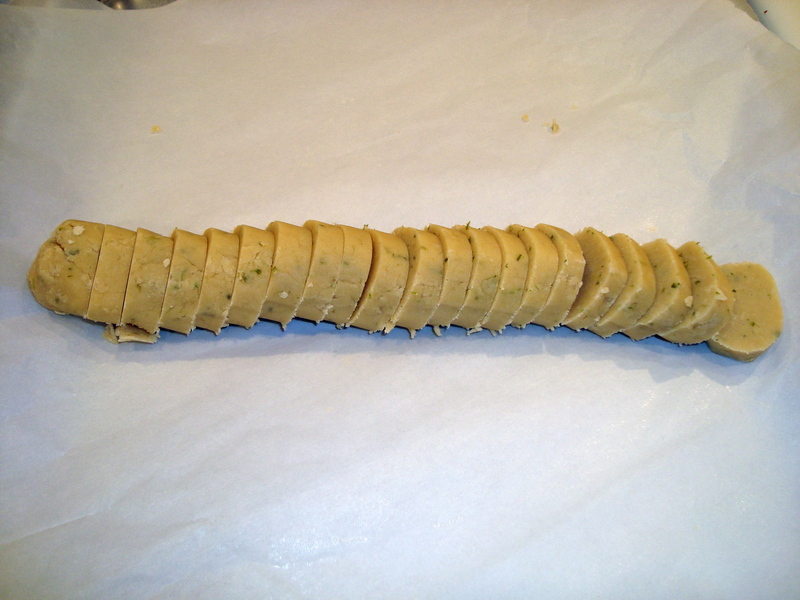 Wrap it up and stick it in the fridge for at least an hour. Repeat this process with the other half of the dough. You can also freeze it for longer, you just have to let it thaw a bit before you slice it up. Preheat your oven to 350. 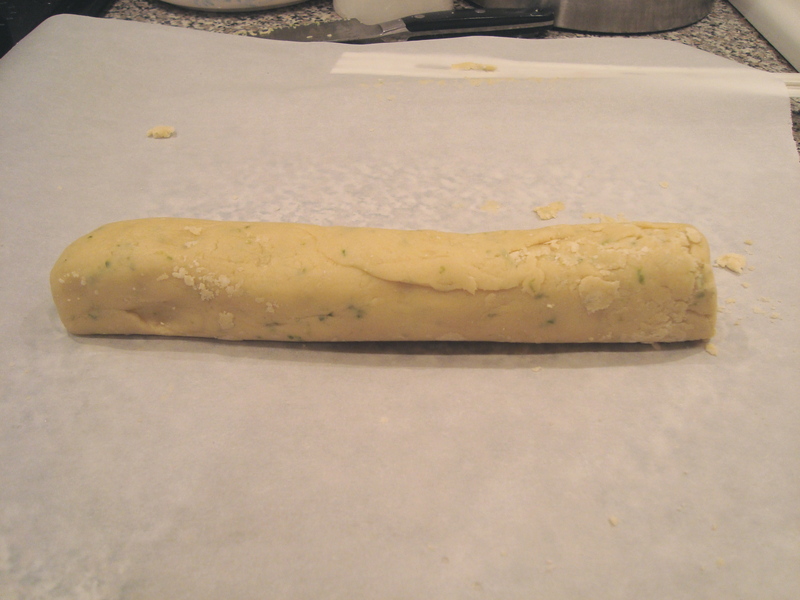 After removing the dough from the fridge, use a very sharp, non-serrated knife to slice the dough. I was able to get around 21 or 22 cookies per log. Martha’s recipe says it makes 10 dozen, I think someone hit the crack pipe when she wrote that. Arrange the cookies on a parchment paper covered sheet pan and bake for 13-15 minutes, rotating halfway through the cooking time. Take the cookies out when they’re just starting to brown. 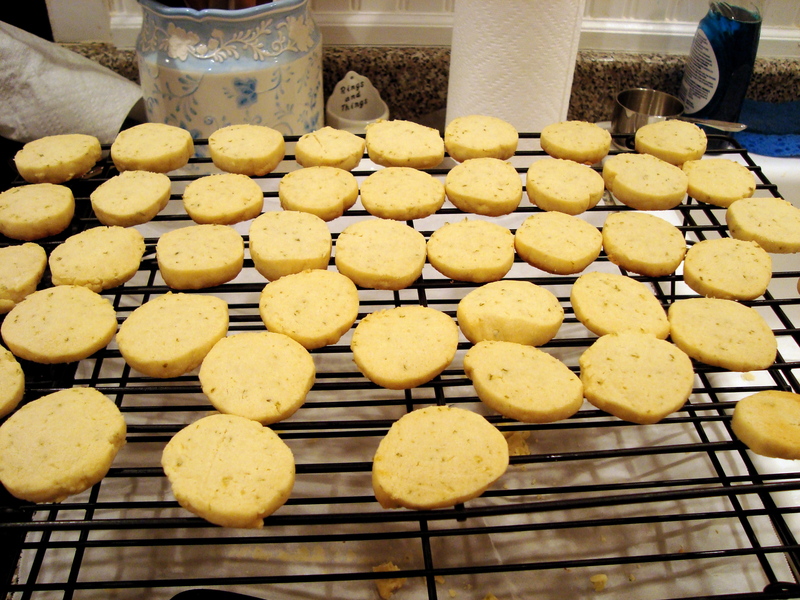 Transfer the cookies to a cooling rack and let cool for about 10 minutes. 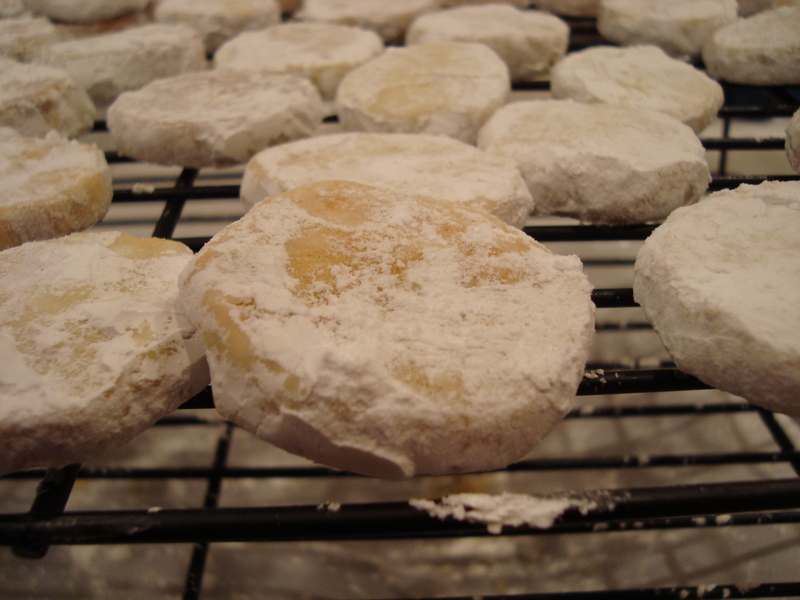 Fill a sealable plastic bag with 2/3 cup of confectioners’ sugar and toss the cookies in the bag (four at a time) to cover them with sugar. 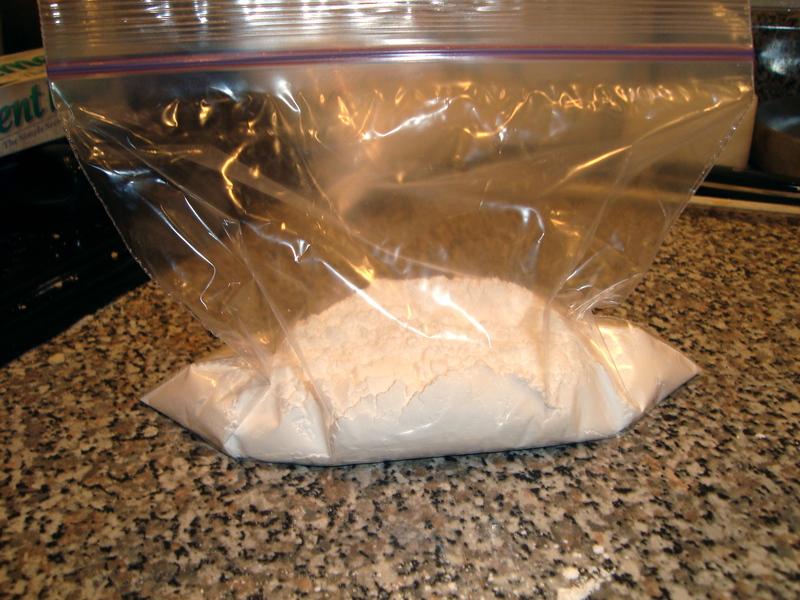 Doesn’t that look like a bag of drugs? Call the police! 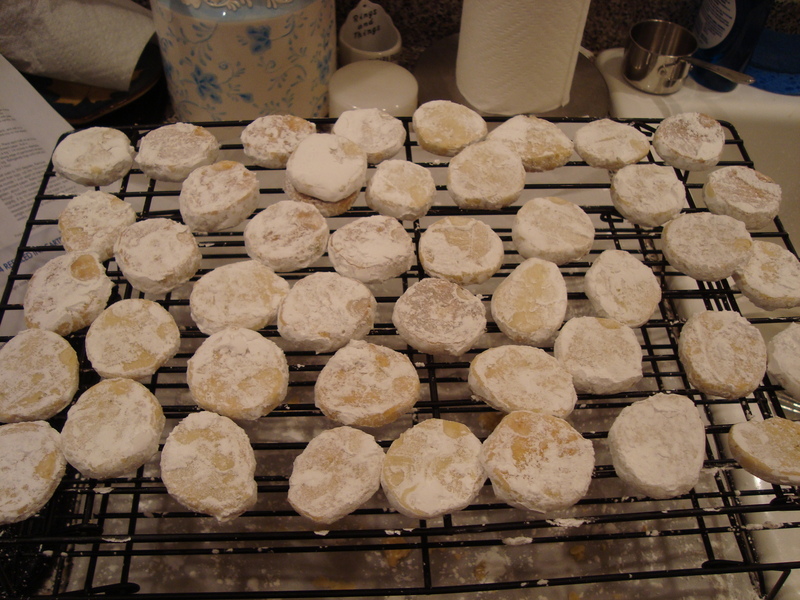 Let them cool completely and then devour them. They are so light and fruity, they almost taste healthy . . . Ok, not exactly.